Deciduous, broadleaf tree native to Balkan Peninsula, including Albania, Macedonia, Greece and Bulgaria. Common in parks, street sides and village greens. 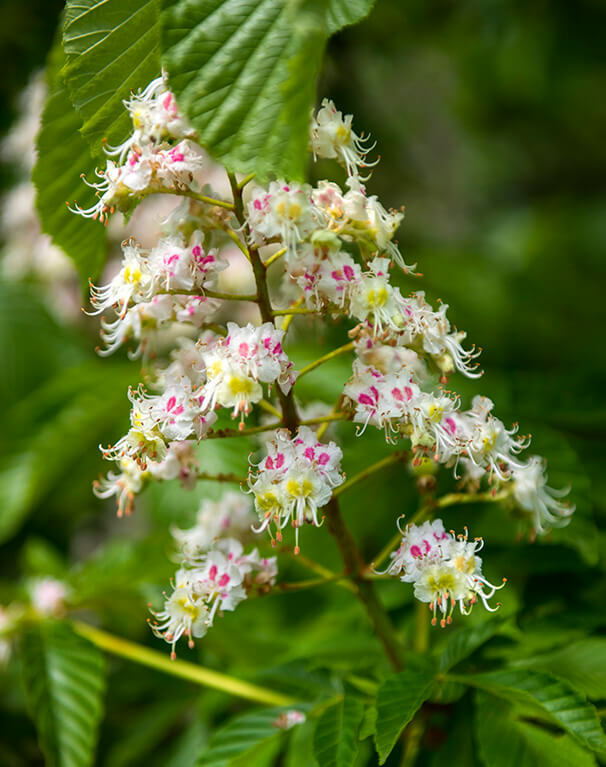 When ripe, a horsechestnut turns an attractive, shiny dark mahogany brown. Beautiful flower clusters; good ornamental tree. 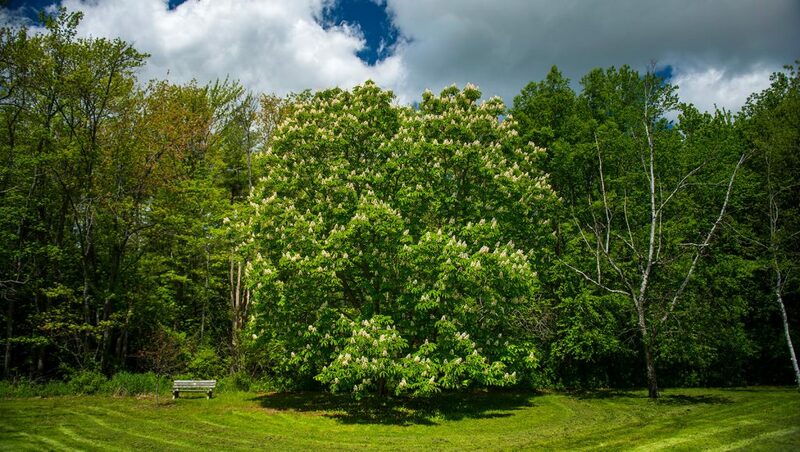 Not related to American chestnut (Castanea dentata), but is related to the Ohio buckeye (Aesculus glabra). Famous use of nut is in schoolyard game of conkers, first recorded on England’s Isle of Wight, 1848. Species introduced to England in 1600s.